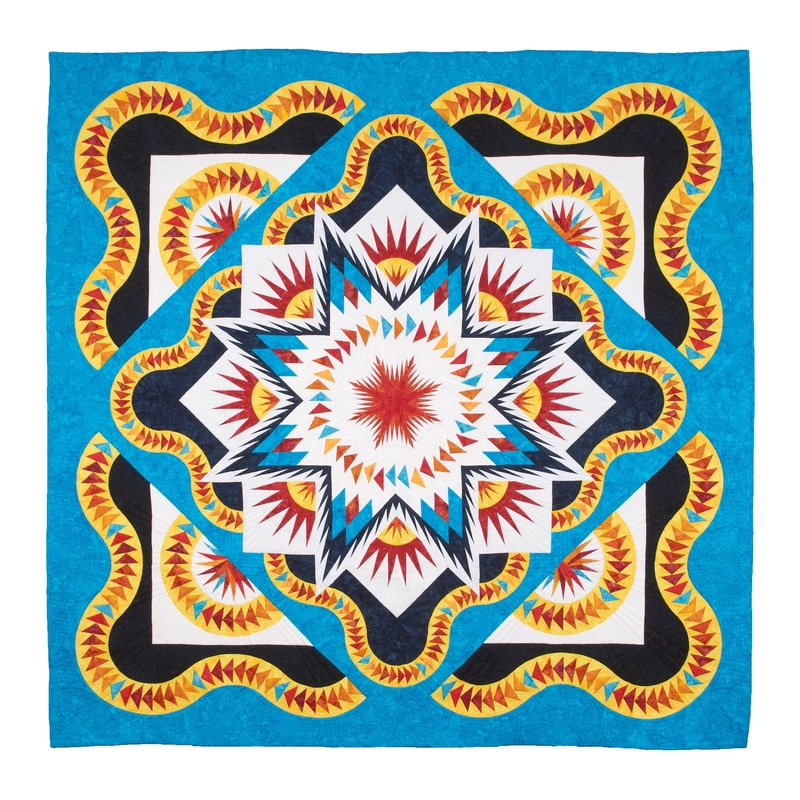 This is a Judy Niemeyer pattern - the Glacier Star. 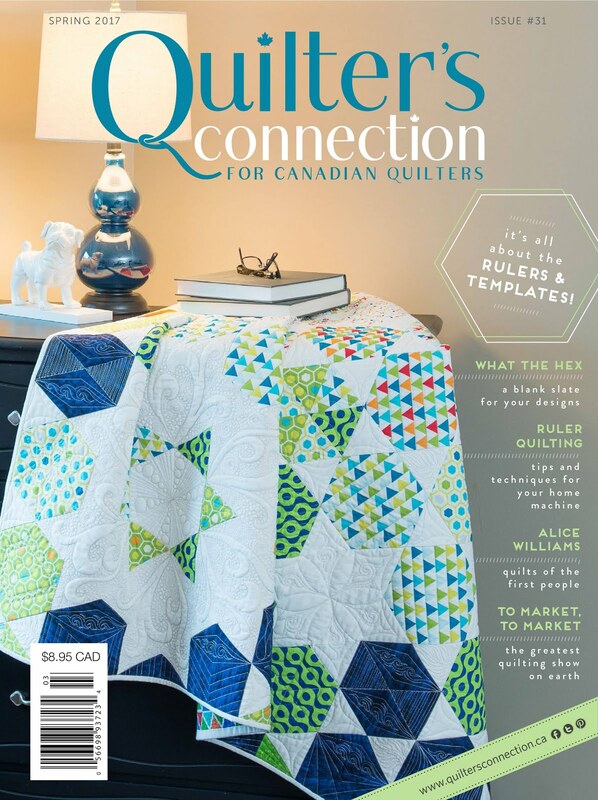 Judy is extremely well known in the quilting world to the point where if someone refers to a "Judy Pattern" everyone knows what they mean. 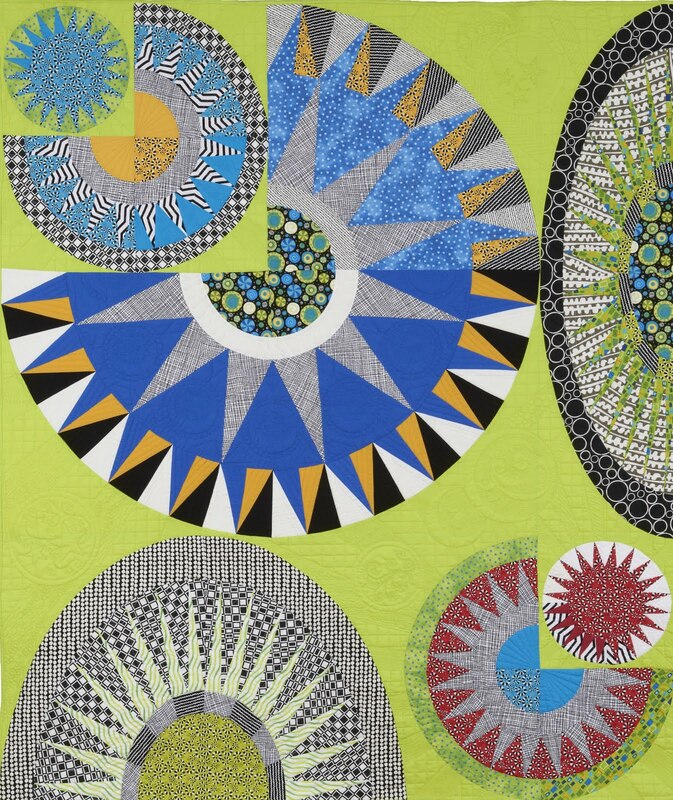 She and her team have produced a gazillion of these very elaborate paper pieced patterns. 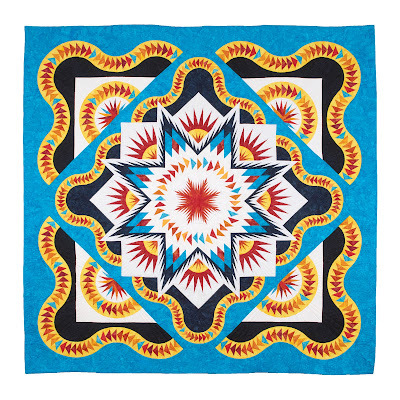 Find her patterns at Quiltworx. I had always wanted to make one just for the challenge so when my friend Carol said she was going to attend a "Judy" retreat in Abbotsford a few years ago, I decided to go with her (instructor was Maureen Wood). I got a good start on the thing - learning the paper piecing technique. 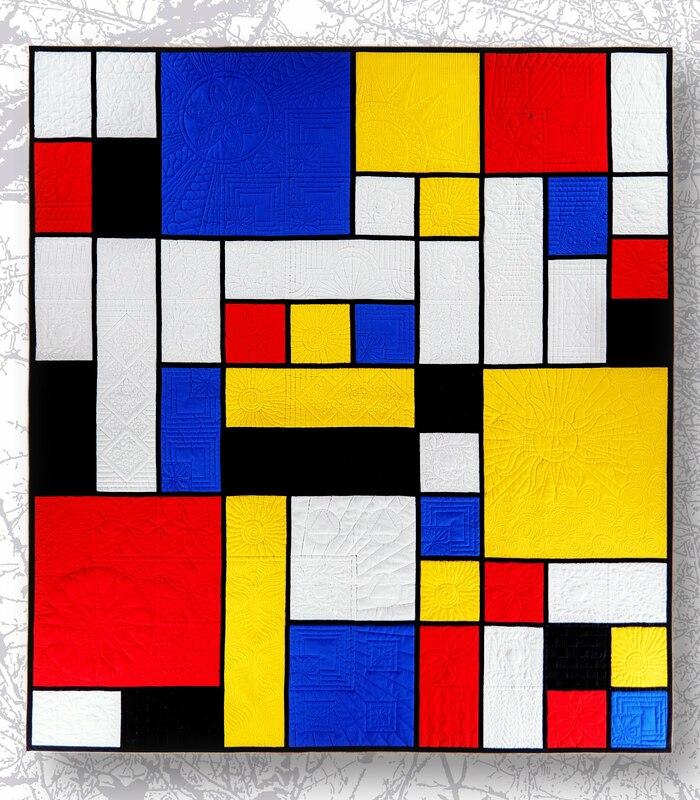 Up to that point, I hadn't done a lot of paper piecing. 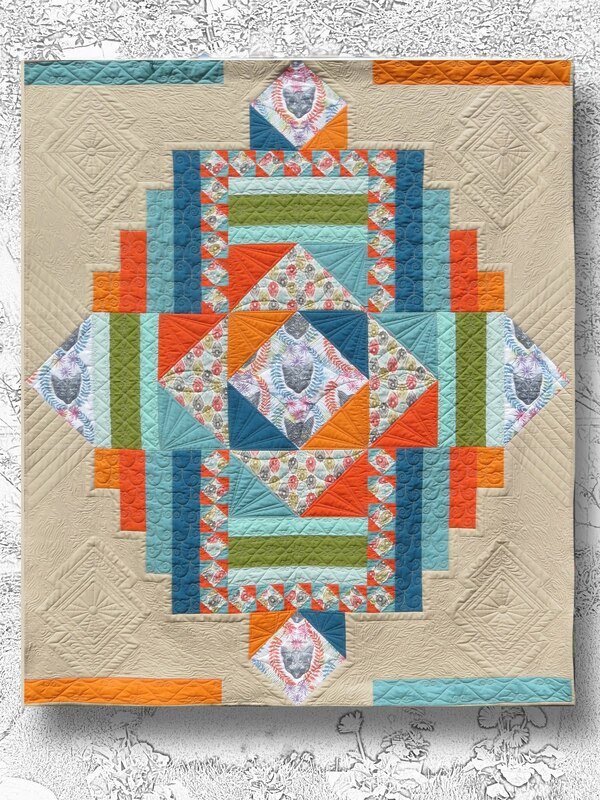 Once you do a "Judy" quilt, you can do any paper piecing! Anyway - out of time at the retreat and lots of customer quilts, etc., Judy got put on the back burner until my next retreat with friends the following spring. I worked on it some more and at at least one more retreat. At some point I got the inside completed - the 60" * 60" section that is on-point in the pix above. I decided that I would give it to my sister as a (belated) wedding gift but wanted it big enough to go on her bed - queen size. Happily there is an extension to the pattern so I ordered the additional corners, which, once made, make the quilt into a 90"*90" queen size quilt. I finally got it finished, quilted, then bound it in time for the photo shoot last weekend - Adina Johnson took the pix - they are wonderful! No kidding - this quilt has taken the longest of any I've made - and cost the most!!!! I think when Chris gets it, there will be a few conditions attached!!!! But I think she'll love it - when I give it to her for her 5th anniversary (so a bit late...). It's been pretty fun to make. 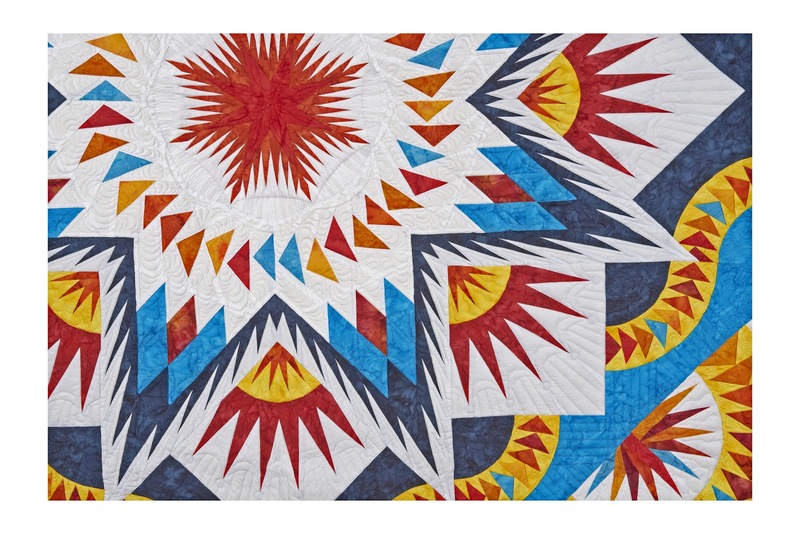 This is the reason (above) why we need a pro to take a few pix of our quilts. Can't get a proper full on shot. Need some equipment to do that.